The construction industry has changed a lot over the last decade, and technologies have played a huge role in it. Today, mobile technology is the main trend in the construction. The On Center survey found that 80% of respondents use mobile devices for bidding or managing projects. Also, the Texas A&M survey shows that 72% of construction professionals use smartphones at work. Mobile technologies have given workers such a useful and convenient thing as mobile business applications. Applications are used in different kinds of work, but one of the major advantages of business apps is data collection and storage. Architecture, building and construction often involve field work. Also, they require paper work. Paper notes coming in from the field are often hard to read, sometimes making data inconsistent. However, thanks to the special construction apps, data can be delivered immediately from the field in a convenient form and stored in the cloud so that it can always be accessed from mobile devices. 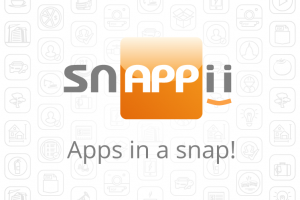 Snappii, a rapid mobile business app development company, offers Construction Manager app, which is designed to ensure the accurate and regular flow of information between company headquarters and construction sites. This business app allows you to create estimates on the spot, improve data accuracy, increase efficiency, speed up project estimation and reduce costs. Moreover, thanks to the new unique feature, you can upload any PDF form into the app and use it as a mobile form. The Canvas’ 2015 survey found that 36% of respondents from construction firms indicated their organization used more than five mobile business apps in 2014, and robust 23% of organizations used ten or more mobile business apps last year. This way, it is not difficult to see the important role of mobile technology, in particular mobile business applications, in the future of the construction industry. This entry was posted in Blog and tagged Construction, Mobile forms by blogger. Bookmark the permalink.